2.79mm x 21.74mm / 0.11in. x 0.856in. 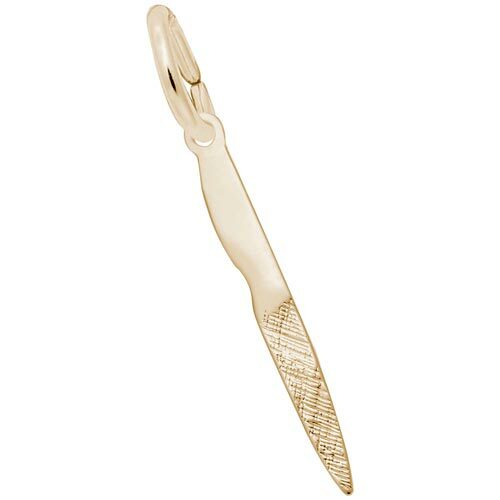 3 Dimensional Nail File Charm. Charm is flat with some diamond cut edging on the bottom to mimic a file.